Security vendor, WatchGuard Technologies has revealed its best performing Australian and New Zealand business partners at its annual partner conference staged in Queenstown, New Zealand. The event featured more than 40 partners that included seminar sessions aimed at both technical and business audiences as well as networking dinners and activities. Keynote speakers included vice president of worldwide sales, Sean Price, director of channel programs Coletta Vigh; director of product management, Brendan Patterson; APAC technical director, Rob Collins; and A/NZ Northern region and New Zealand sales engineer,Matthew See. The event was co-sponsored by distributors Dicker Data, Exclusive Networks (Australia) and exeed in New Zealand. 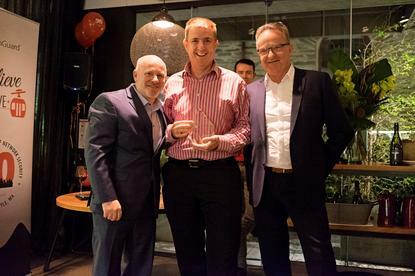 The partner awards were handed out during a gala dinner evening at one of New Zealand’s top restaurants, Rata Dining. The 2016 awards recognise channel partners that have met specific certification and partner program requirements in addition to their revenue performance. The Founding Partner award was newly introduced this year in an effort to recognise WatchGuard A/NZ’s longest standing partner that is still achieving strong results in 2016. Dicker Data took home Distributor of the Year based on its performance while Systemnet was awarded both Partner of the Year and Top Gold Partner of the Year based on the company’s net financial contribution through sales of WatchGuard solutions in the last financial year and participation in the WatchGuardONE channel program. Sydney-based AKCS won Top Deal of 2015 Award based on its work with the NSW Cancer Council; Solutions Plus Australia won the Founding Partner award; Shiloh Marketing Services took New Partner of the Year; Elmtree scooped Partner of the Year for Most Innovative Growth and Think Technology scored Top Silver Partner. In addition, AKCS, ASI Solutions, Elmtree Consulting, iT360, ITRO, Login Systems, Netier, Qtec, Silverfern, Systemnet, Territory Technology Solutions, Think Technology and Viatek all received WatchGuard Gold Plaques to recognise their commitment to the WatchGuardONE channel program.